1. 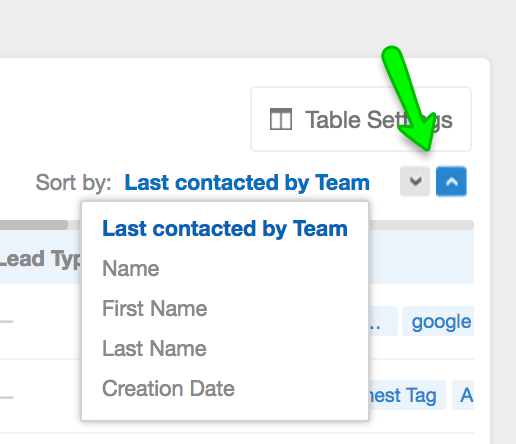 In the Contacts tab, select one of the filters from the default lists or custom lists (as indicated above) and then choose a category to sort by. 2. Select the up or down arrow to sort top-to-bottom or vice-versa. 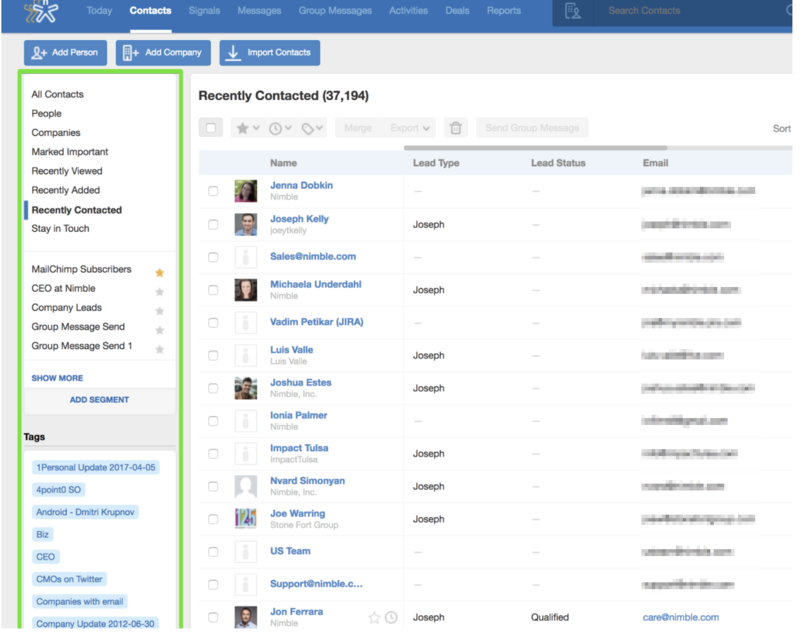 If you want to customize your columns, check out our article - How To: Create Saved Segments with Custom Columns.